OTTAWA: A truck driver whose semi trailer slammed into a Canadian junior hockey team bus, killing 16 and injuring the remaining 13 passengers, was jailed Friday for eight years. Jaskirat Singh Sidhu, 30, had admitted several counts of dangerous driving causing death or bodily harm, telling the court in January that he took "full responsibility" for the disaster. His sentence was two years shorter than the term prosecutors had sought but is nevertheless the harshest ever handed down in Canada for the charges Sidhu faced. The Indian national, the only person involved in the crash to escape injury or death, was a legal permanent resident but does not have joint citizenship and faces likely deportation back to the subcontinent after serving his time. The Humboldt Broncos tour bus was traveling to a playoff in rural Saskatchewan on April 6, 2018 when Sidhu's truck ploughed into it at a highway intersection. Canadian police said the semi trailer, loaded with heavy bundles of peat moss, was exceeding the speed limit and failed to stop. The force of the collision ripped open the bus. Of the 16 dead, 10 were hockey players aged 16 to 21. The other six included coaches, journalists and the driver. 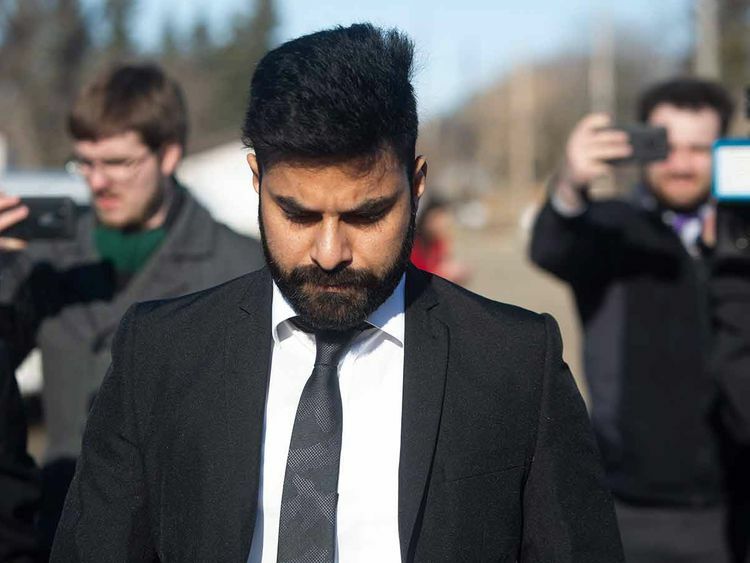 The court heard Sidhu had been distracted by a flapping tarp over the bundles of peat moss and failed to see the stop sign at the intersection.